The heading says it all: now, finally, you can send multiple lines of text in a single email! The text sieve UI supports multiple lines of text. Click on the top left status icon (i.e. the cloud) from any sieve screen to open the status screen and see additional status info. The status screen will always show you the current status of Pensieve, including any errors that may occur when sending emails, and if an app update is required. The status screen shows if your offline or online, how many emails are being sent, any errors that occur, and if the app needs an update. Choose which sieve UI is shown when you open Pensieve. Options include text, audio, image, and last viewed. Do you often send yourself audio or image emails? Use the default screen option to have Pensieve always start on one of those screens! The default screen option allows you to always start on the audio screen or the image screen. If you already use Pensieve, update to version 1.4 to use enjoy using the new features. 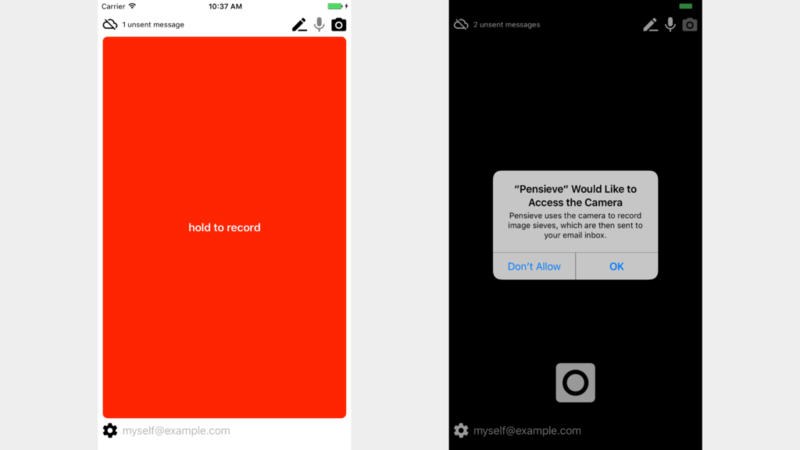 Pensieve is an iOS app I created to make it dead simple to email myself. I use it to get stuff out of my head and into my inbox for later processing. Pensieve has no clunky email UI to slow me down, and with this update it’s easier to use than ever. Pensieve is so useful to me that it’s a free download for everyone. 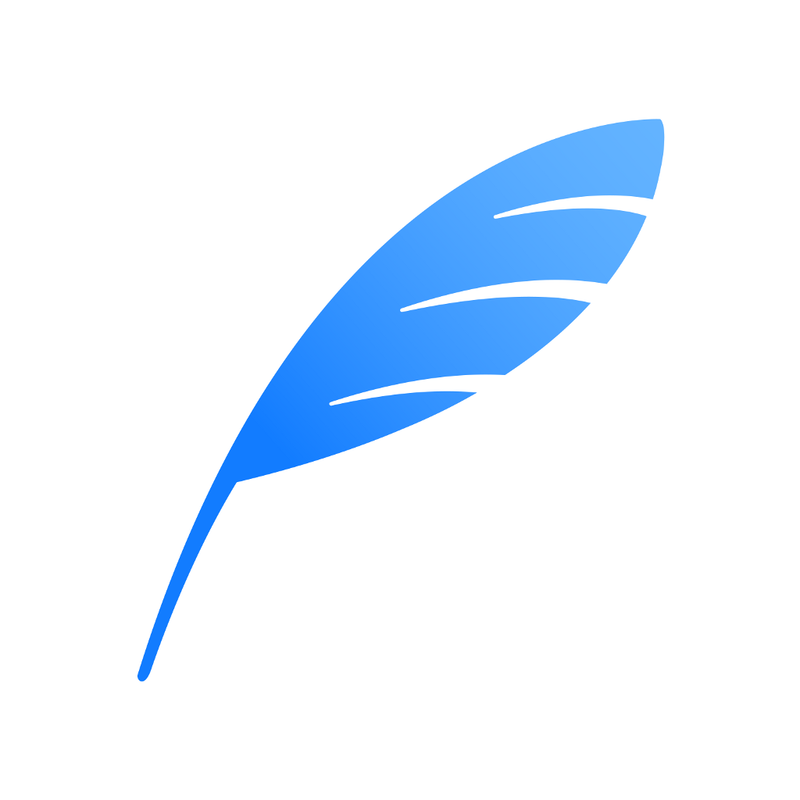 Click the feather below to download Pensieve 1.4 from the App Store. I hope you give it a try and find it useful. 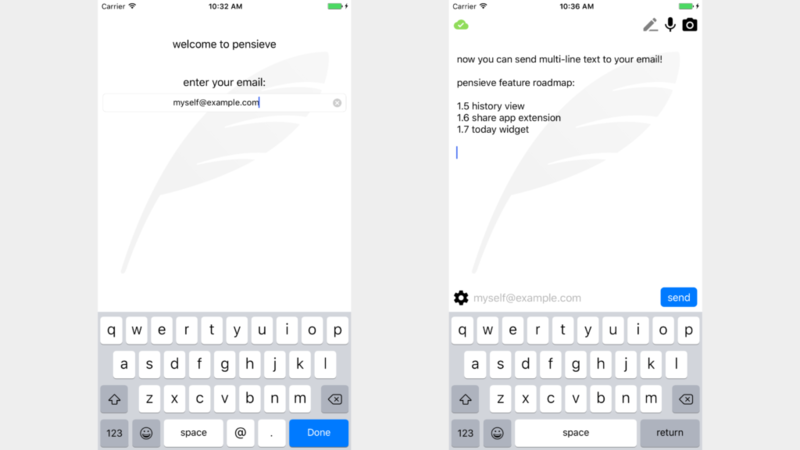 Download Pensieve 1.4 for iPhone, iPad, and iPod touch for free. This entry was posted in Digital Nomad on 2017-01-27 by Joshua Beeler.